When we secured our internship at the Portland Hotel in Buxton we searched for places to see and visit. Top of the list was the Buxton Opera House. Once again we were pleased to see the Buxton Opera House was so close to the Portland Hotel. Only 200 metres. The 902 seater Buxton Opera House was built in 1903 by Frank Matcham. According to FT Magazine the Buxton Opera House is the most beautiful of all Frank Matcham’s opera houses. In 1927 it became a cinema where silent films were shown until 1932. Since the 1970’s the Opera House has been a full time venue for productions presenting almost 450 performances per year including opera, dance, comedy, drama and concerts. Since July 1979 the Buxton Opera House has been home of the world famous Buxton Festival which has developed into one of the largest opera and arts festivals. We chose to buy tickets for Nutcracker, the famous ballet with Tchaikovsky music. We arrived 30 minutes before the performance to marvel at the stunning architecture, both inside and out. Incredible paintings and gildings on the walls and ceilings. The orchestra was all in place in the ‘pit’ beside the stage. The ballet started. It was a mixture of terrific music, splendid costumes and breathtaking dances. The night we chose was one of the coldest nights of the winter, so far. 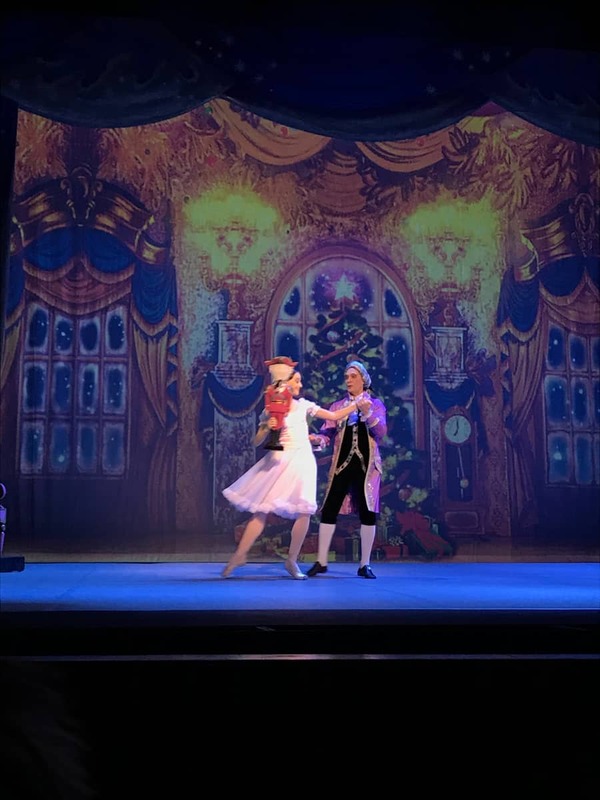 Maybe OK for the artistes of the Russian State Ballet of Siberia but very much different for these two newcomers from the warmer climes of La Rochelle. We were surprised by the queues to buy ice creams at the interval (something we don’t often see in theatres and cinemas in France). They must be a hardy bunch in Buxton!! Taking the short, flat and well illuminated walk back to the hotel we saw many hotel guests who had enjoyed the performance and taken advantage of the location of the Portland Hotel in relation to the Opera House. The hotel very often offers an accommodation and breakfast price cheaper than a theatre ticket. Many guests decide to stay 2 or 3 nights on even better deals and take in a number of shows / performances at the Opera House.